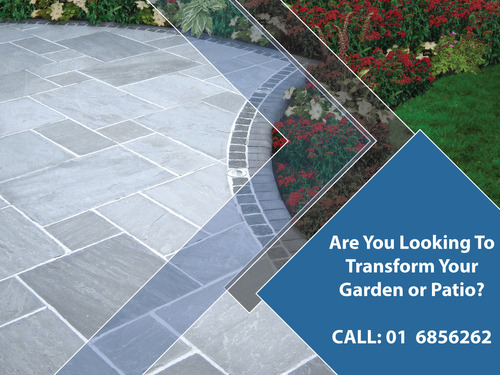 Choosing the best paving company in Dublin has never been simpler when it comes to laying or installing paving Dublin with Select Paving. Our team offers a range of paving services that includes driveways paving, garden paving, block paving on pathways and patio paving in Dublin. Now you might think, well, maybe I don't need a paving company and you can do it yourself. Of course that's an option but you do require specialised equipment to lay and cut block paving. It also takes experience especially on driveways to ensure the base preparation is correct, the levels for water drainage are set correctly and that the cuts to the block paving are done smoothly and accurately. By picking a quality paving contractor like our team, you are getting a paving company that has over 20 years experience at laying block paving and has the references from previous customers to back it up! Why spend a lot of money on the block paving but cut corners when it comes to actually getting your paving laid correctly. We excel at providing a paving service based on quality workmanship whilst providing value to all our Dublin customers. We can install all types of paving including standard paving, Tobermore paving, Kilsaran paving, Tegula paving and cobblestone driveways. 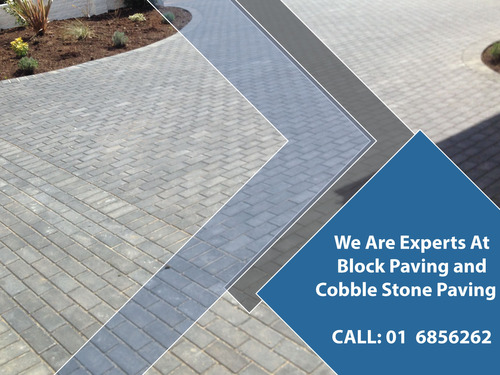 Block paving offers great value to any customer looking to have a new paved driveway, extending there old driveway paving or if they are looking to replace an old driveway in Dublin. Block paving is easily installed and has become as affordable as having a tarmac driveway installed. What Are The Most Common Types Of Paving In Dublin? All of these types of block paving in Dublin are from the Kilsaran paving range in Dublin. They provide the largest range of paving in Ireland and offer a long term guarantee on the quality of their paving. When you are choosing block paving for your own driveway, go through the purpose of the driveway or patio before you select any type of paving. If its going to be a driveway for standard vehicles, 50mm block paving is fine. For driveways that will have heavy goods vehicles on it as a regular basis, we recommend the 60mm variant of paving. Out the back of your house in the patio or garden, the thickness of the garden paving or patio paving doesn't really matter that much. It will not having vehicles on it so your choices are slightly enhanced. You can choose natural stone, granite paving, Indian sandstone flagstones or really any type of garden paving for your patio. The next decision you can make is the type of paving you would like on your driveway or patio. Go through some online pictures, decide if you would like a clean modern look or if you would rather a more traditional look to your driveway. The most popular type of paving is block paving, this is laid in a 45 degree or 90 degree herringbone pattern usually. This type of driveway paving has been around for over 20 years now and has become the defacto style of paving. Another up and coming style of paving which has become more popular in the last 5 years has been cobble stone style paving. Now there is 2 types of cobblestones, the first type is the manufactured style that comes in 3 sizes and is laid in a staggered fashion. The second type is original granite or stone sets which are laid in swirls. 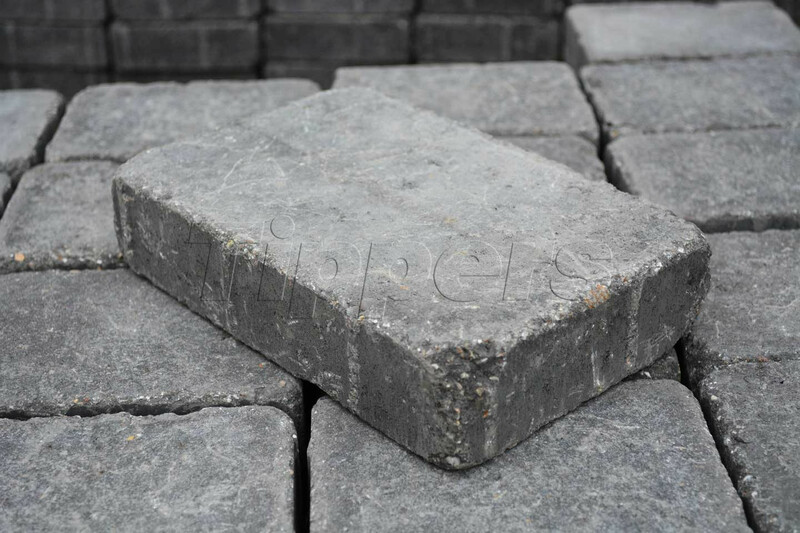 Obviously there is a big difference in both of them types and the price for installing either one will vary, however, natural cobble stone is much more complicated to lay and purchase than the manufactured ones. If you are getting quotes for this, make sure to see previous work installations by paving company's in Dublin before you commit. With any block paved driveway, you have multiple choices on edging for your driveway. Edging serves multiple functions but the main function is to give the driveway a restraint whilst holding back whats on the other side. For example, a lawn area would have kerbing running up alongside if it is next to block paving. You can choose for standard concrete edging kerbs, block paving kerbs, rumbled paving kerbs and granite style kerbing for your block paving in Dublin. You can ask for samples of the types of edging so you can compare it to the style of block paving you want laid at your home. If you have an inspection chamber on your driveway (manhole cover), you can have it replaced with a specially built inspection chamber for your paving. It is called a recessed inspection chamber and allows the block paving to sit inside of it like a tray. If you need access to the chamber, you have two keys which sit in opposite ends and the entire try can be lifted out. Another option with block paving is sealing your driveway. Sealing your driveway is done normally a couple of months after it has been laid. A sealer is applied which impregnates the driveway paving to help seal it off and protect its colour. This will add some longevity to the colour of block paving in Dublin. Another advantage to Dublin paving is the benefit of how easy it is to maintain. Once a year you can pop out to your garden or driveway, wash it down and let it try off. Once its dried off, you sweep all the rubbish off it and just simply top back up the paving joints with kiln dried sand in the block paving. Always take your time, pick the best paving options that suit you and your home. Shop around, get some prices, carefully vet your contractors and get a quality paving service in Dublin. You are guaranteed a long lasting and beautiful driveway paving installation in Dublin. Even Dublin City uses block paving at all its important gathering points. Here is a look at Grafton Street in Dublin which was paved with various styles of block paving. Everyone knows Grafton Street, Dublin is one of the biggest attraction points in Dublin. If they chose to block pave the streets, there was obviously a very good reason!